The Speed Force, the source of virtually all of the DC Universe’s speedsters’ powers, is a concept that is difficult to nail down and reduce to a level of simplicity that still allows it to retain its core properties. This, as stated in a prior Flash Facts entry, is part-in-parcel to the number of times it has had its origins and/or properties altered. That aside, something that is Speed-Force-related but surprisingly more grounded in actual scientific theory is the cause of and reason for why different speedsters have differently colored Speed Force lightning. This article relates only to the New 52 through the current DC Rebirth continuity as it stands in the comics, and not the television show or any other continuity or medium. Booth is saying that Speed Force lightning essentially exemplifies the scientific concept of “Blue Shift” here, which has the following definition: “The displacement of the spectrum to shorter wavelengths in the light coming from distant celestial objects moving toward the observer.” Now, without getting too much into the weeds of the science here, we’ll just cover the necessities so as to minimize confusion. The human mind is able to process an extremely small amount of the spectrum of colors, and this is referred to as “the visible spectrum.” The concept that we need to cover first is wavelengths, which refers to the distance between the peaks of electromagnetic waves and varies inversely with the concept of frequency, which refers to the number of waves that pass a fixed point within a given amount of time. 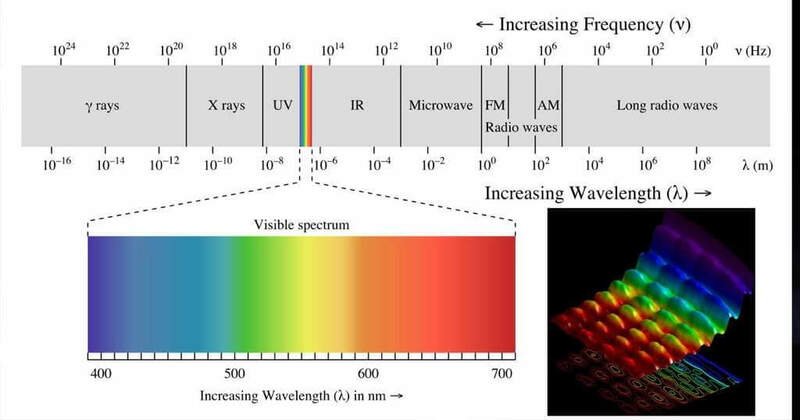 This essentially states that the electromagnetic spectrum ranges from waves possessing long wavelengths and low frequencies (slower speeds) to those with short wavelengths and high frequencies (faster speeds). Essentially, this means that if something “blue shifts,” that is to say that it is now emitting higher frequencies and possesses a shorter wavelength, and this is in relation to how much closer to the speed of light the given object is moving. This idea of Speed Force lightning colors being representative of Blue Shift is reinforced by the progression of Barry Allen’s speed over the course of the New 52 Flash run up to his present incarnation in DC Rebirth as of the conclusion of Flash War. When the New 52 Flash book started, Barry possessed red Speed Force lightning when he ran. Over the course of the book, his lightning became more of a reddish yellow hue, and now he has solid yellow lightning when running, indicating that he is not only faster now than he was in the New 52 run, but also possesses a stronger connection to the Speed Force itself. 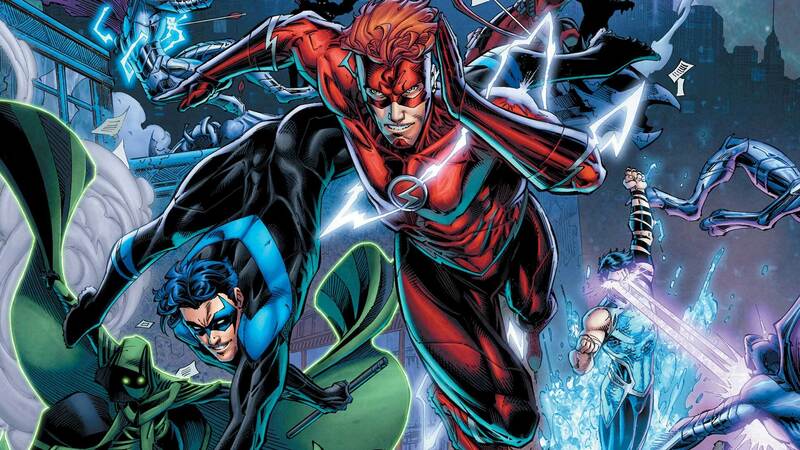 This is reinforced and supported, again, by the New 52 Flash Vol. 6 Out of Time story, in which future Barry Allen travels back in time and is measurably faster than present-day Barry, and possesses blue Speed Force lightning as a result of a stronger connection with it and, heavily, because of a modified suit, according to Booth. Yet another example of this is the original Wally West who, upon exiting the Speed Force in the DC Rebirth one-shot, possessed blue and then white lightning – solidifying one of many examples of Wally being the fastest Flash (see DC Nation magazine #2). When asked about the meaning of white lightning around speedsters, Brett Booth said that it occurs when a speedster has tapped into the Speed Force to a level that allows them to actually affect the speed of time. Since his return to the DC universe, Wally West has proven time and again that he is the fastest speedster, and the application of the Blue Shift theory supports this claim further. Conversely, Wallace West (II), introduced in the New 52, has red lightning, as he’s still pretty inexperienced with his powers and his connection to the Speed Force is still minimal when compared with the other speedsters, resulting in him being slower than the others. Speed Force lightning colors have been a topic of discussion for some time, and Flash fans should be grateful to Brett Booth for the clarification of the concept. I, for one, always appreciate the mixing of the fantastical with the scientific, something that harkens back to the dawn of the Silver Age of comics, wherein many characters and their origins were rewritten or tied into science in some way, shape or form. Moving forward, only the future writers of the DC universe can choose whether or not to keep supporting this concept, but as of the present storytelling, Flash writer Joshua Williamson has taken it and run with it! For more Friday Flash Facts, Speed Force tutorials, and Flashy puns stay tuned to Geeks + Gamers!